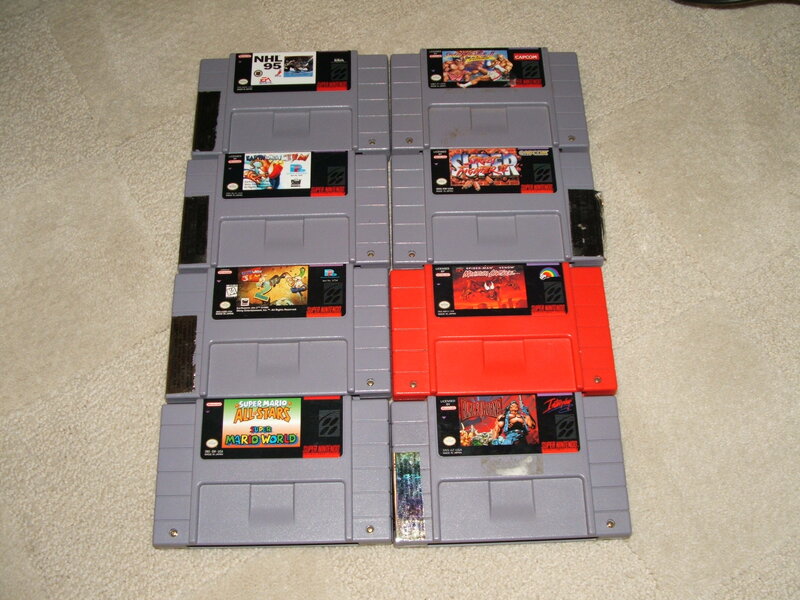 NHL 95, Street Fighter 2 Turbo, Super Street Fighter 2, Earthworm Jim, Earthworm Jim 2, Maximum Carnage, Super Mario All Stars + World and Blackthorn. 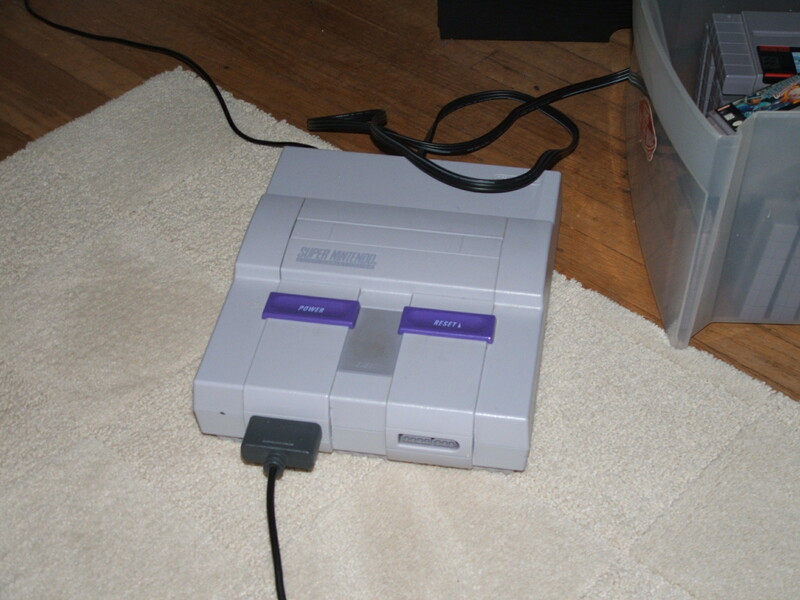 I hooked up the SNES right away and it worked flawlessly! It also looked better than my Wii hooked up to my HDTV (I have Mario All-Stars for Wii and for whatever reason it has black bars on either side of the play area, on SNES it doesn’t do this it just stretches out. I don’t get why the Wii disk version of Mario All-Stars does this since the Virtual Console games don’t do this). I paid $1.00 for Rise of the Silver Surfer and the 3rd Lord of the Rings film (It was the only one out of the trilogy I didn’t yet own). 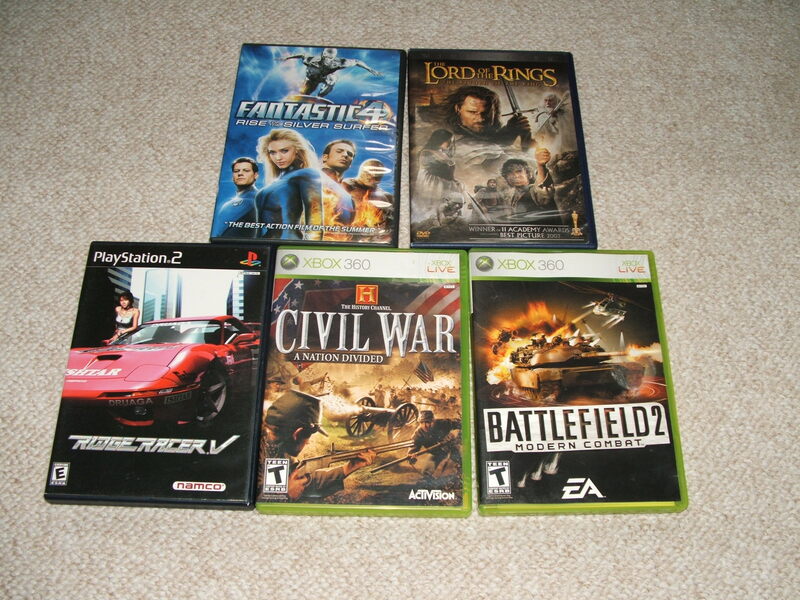 Ridge Racer 5 for PS2 was also $1.00 and I paid $2.00 each for Civil War and Battlefield 2 for Xbox 360. 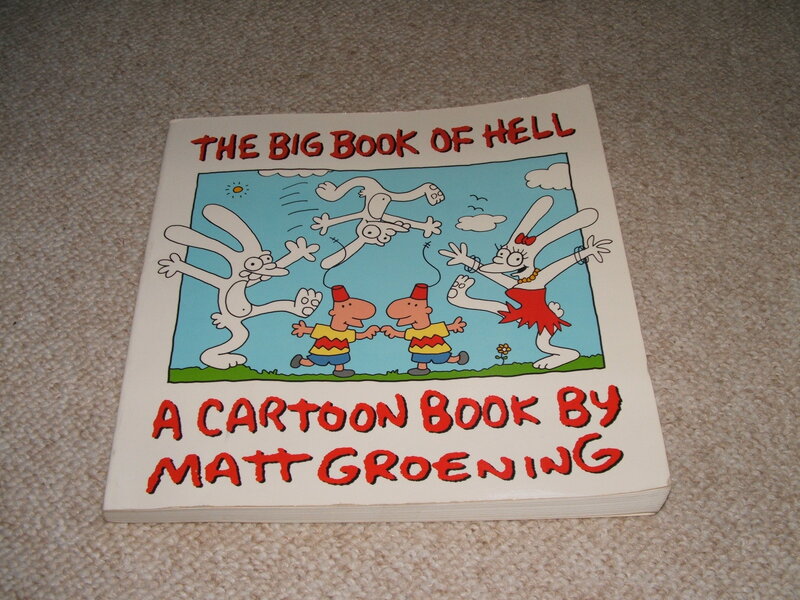 I also came across a copy of The Big Book of Hell by Matt Groening. I paid $2.00 for this and it was absolutely worth it, I love Groening’s older stuff(before Simpsons). 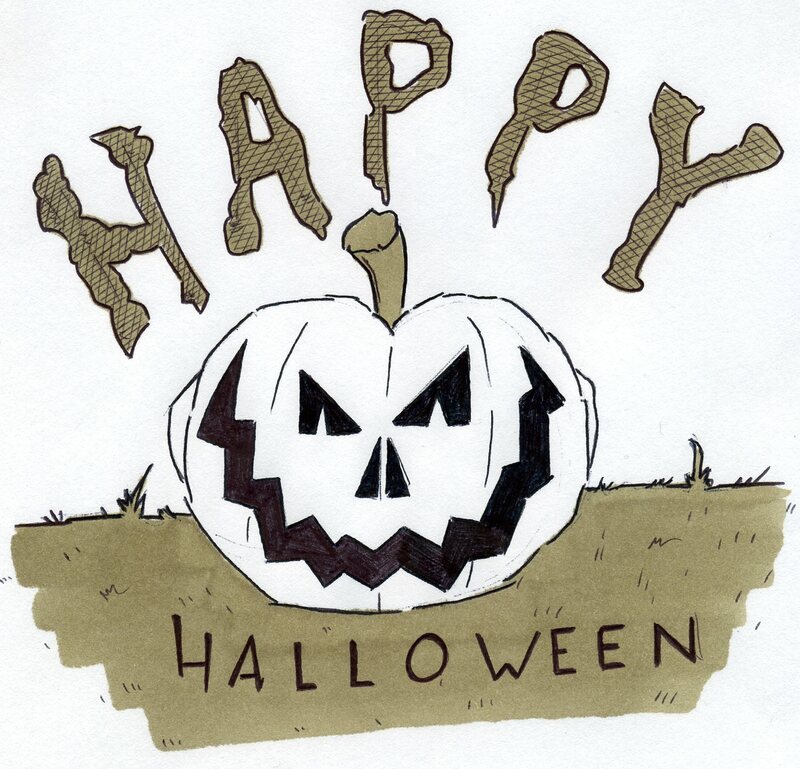 We just had our first snow on Oct 29th here in PA and I doubt there will be anymore yard sales or flea markets to go to so I’m not sure when the next time I will be able to update the Thrift Store Junkie portion of this blog. Oh well, till next time. 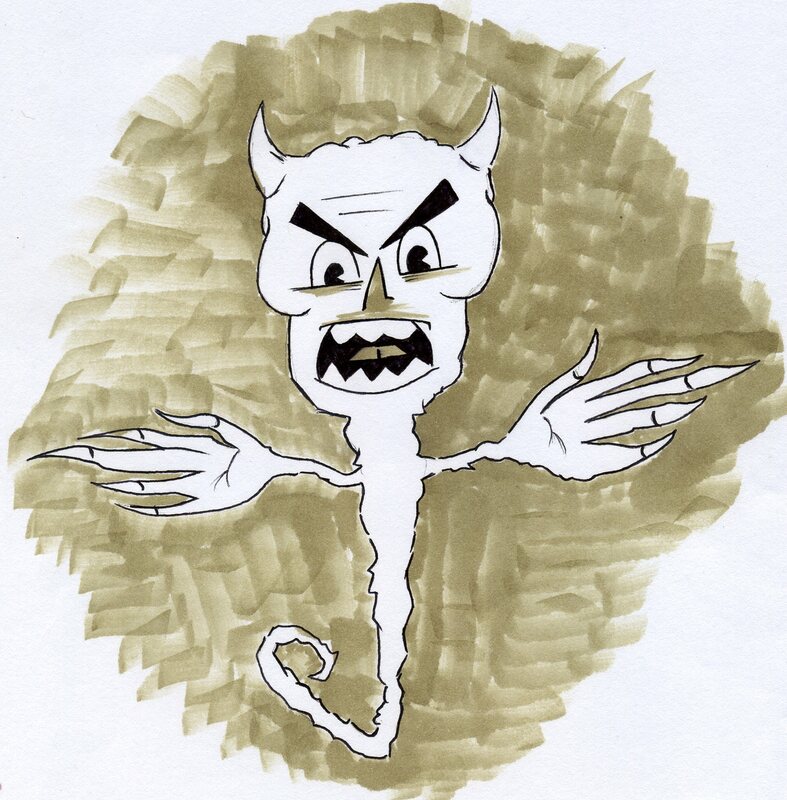 I also did another illustration for “IF” over on my website Thecrayonwar.com, here is the link to the illustration I did for that site: GHOULIE! 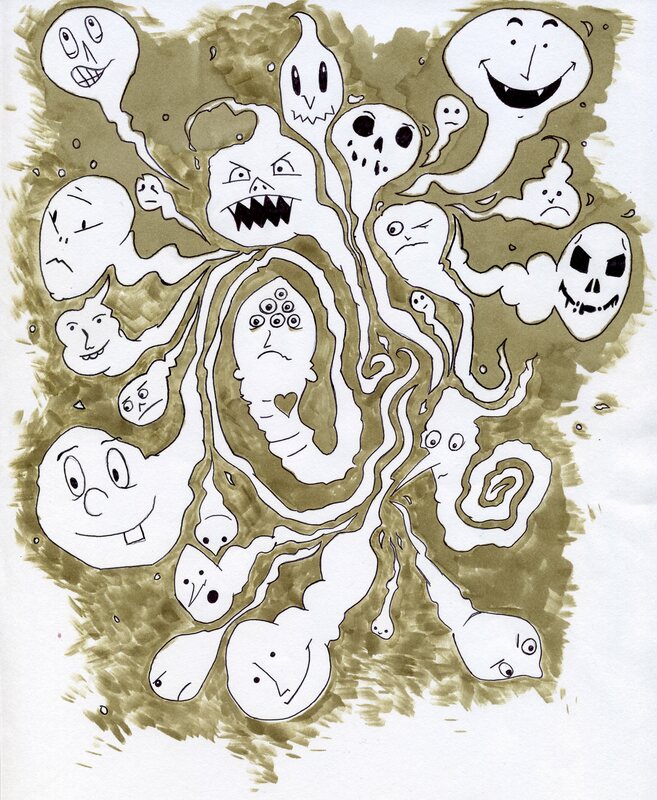 If you like 80s horror movies you should probably know what I based the illustration off of. 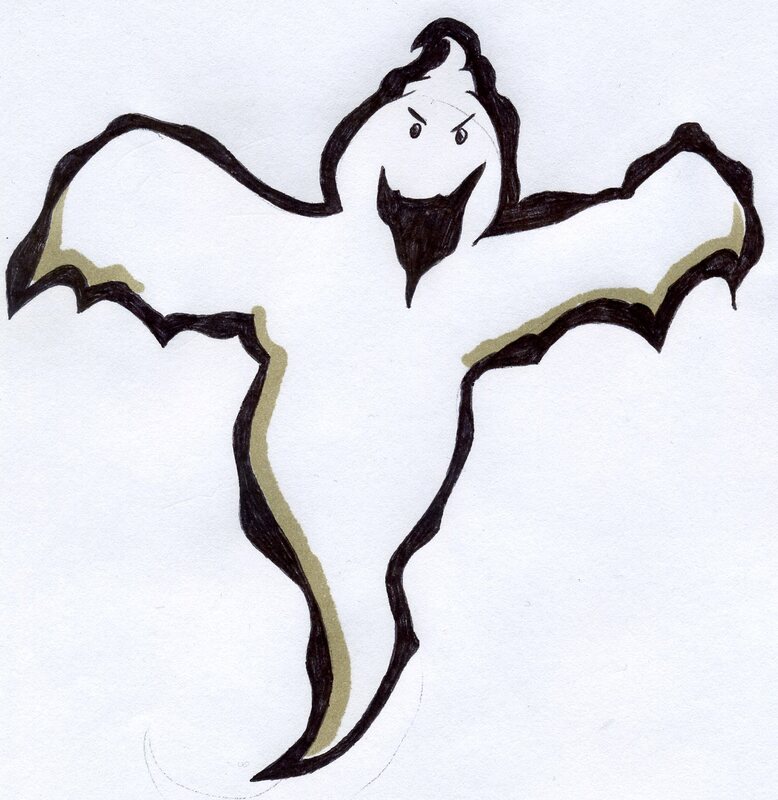 I promise this is the last ghost you will see on this site, at least for a while. 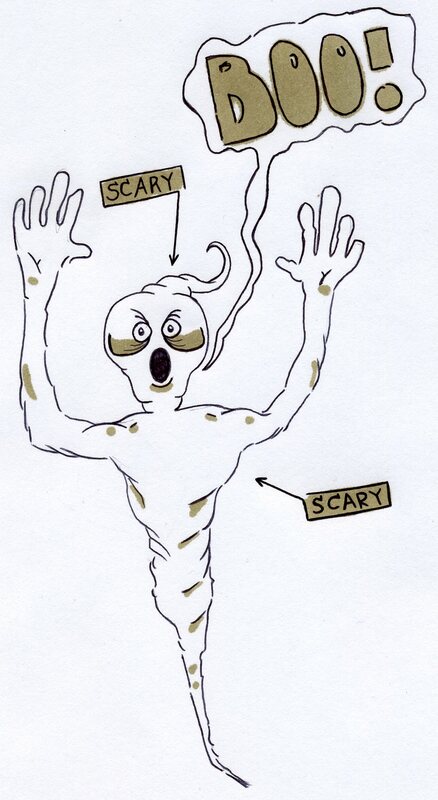 This weeks Illustration Friday word was Scary! 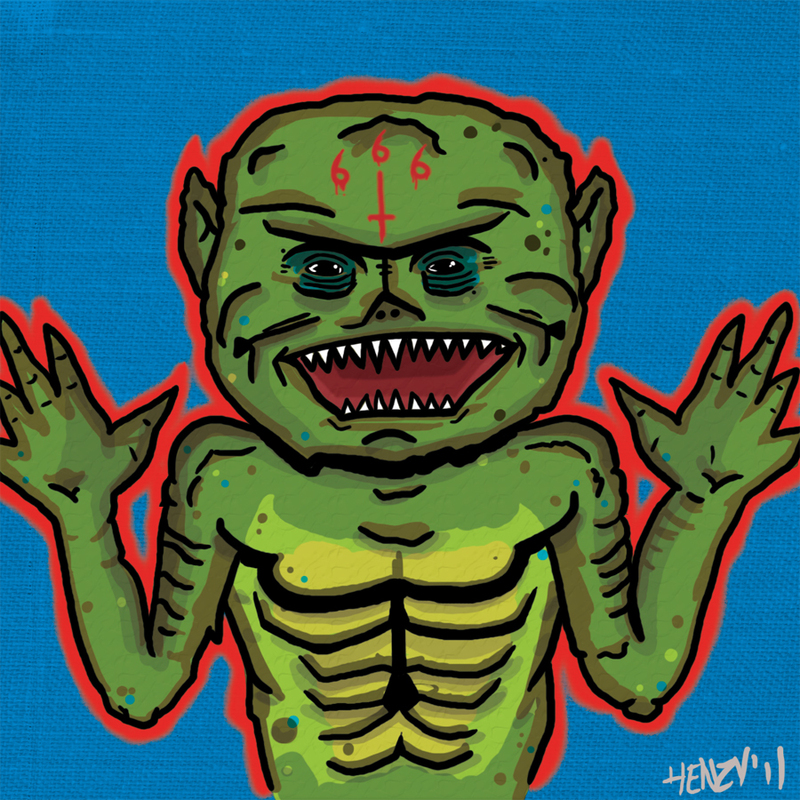 I had just finished watching the movie Ghoulies the other day, so I decided to do something with that. The beginning of the movie there is a cult performing a satanic ritual of sorts. I don’t really understand where the Ghoulies come from because they are there in the movie before the ritual is performed. 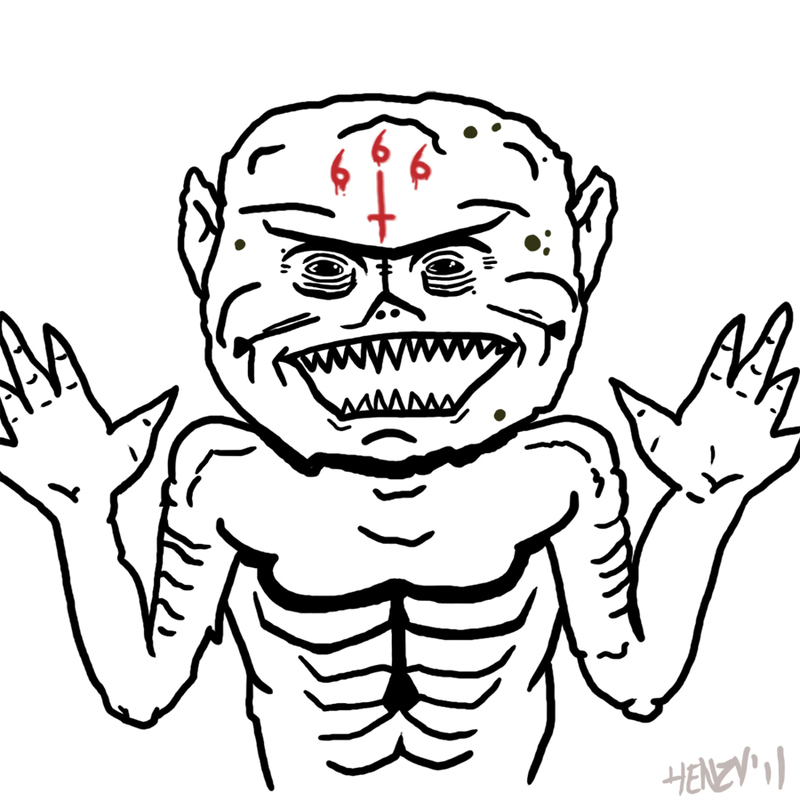 For my illustration I tried to pull the satanic aspect into the illustration a little more so I put “666” and an upside down cross on the Ghoulie’s forehead. I actually worked on this illustration backwards than the way I normally work on them, for this one I blocked a lot of the color in first and then went back to do the outline work. Normally I do the outline work first. Oh well, it worked either way. This was a very fun illustration to work on. Last post I had mentioned that I want to start posting links to artists that I find online whose work I like. 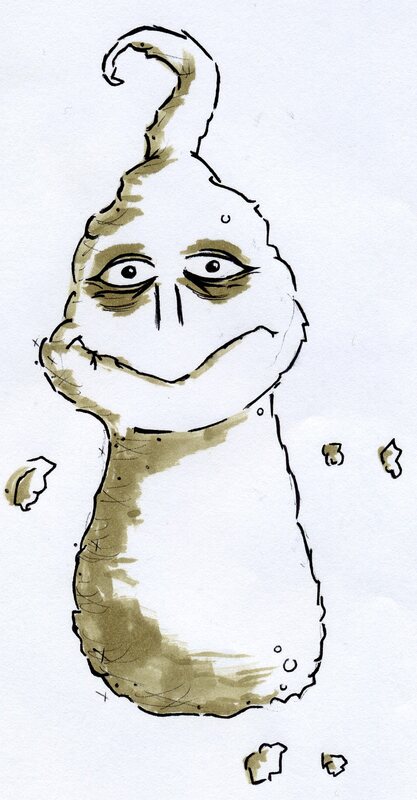 I found this Thor illustration in a New Yorker and decided to check the guys website out. Very bold, cool looking stuff. I spent at least an hour looking through his work. If you want to check out his website as well here is the link: Jashar Awan. I have also been using his work(and a few others) to remind me to keep things simple with certain illustration and not to overwork them. I actually have this Thor illustration hanging on the wall next to my computer right now. 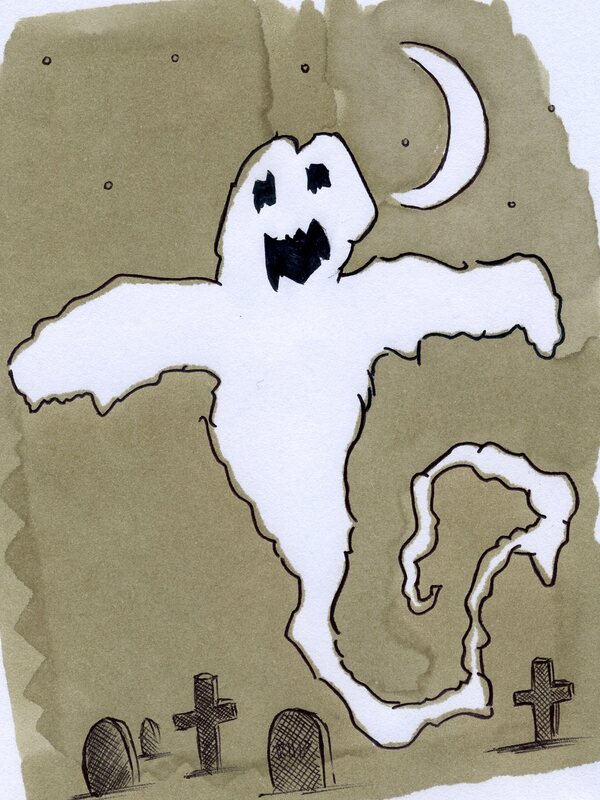 I don’t know what it is about this ghost, but he looks like he would stink. 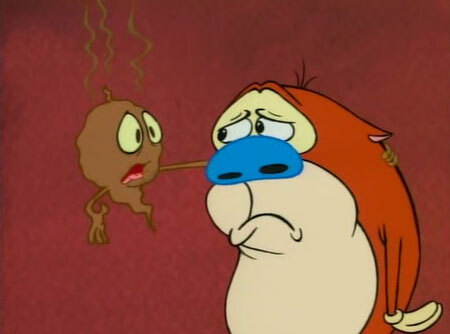 I didn’t do it on purpose but he reminds me of Stinky from Ren and Stimpy.